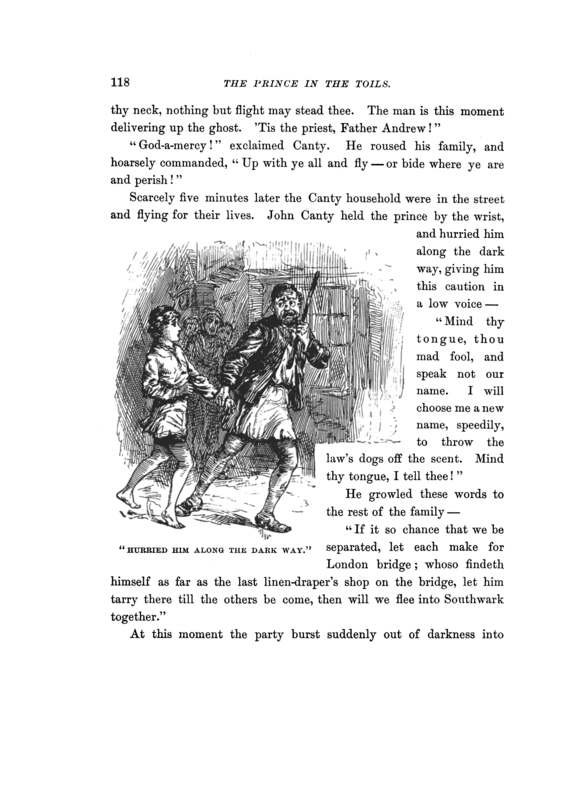 With The Prince and the Pauper (1881) Mark Twain moved to a new publisher, James R. Osgood, where he could call on the services of Andrew Varick Stout Anthony, himself an engraver and artist. 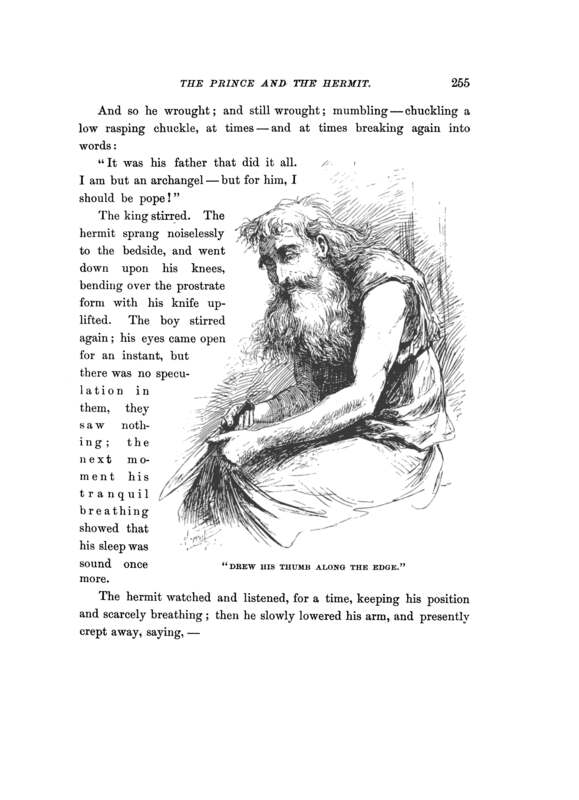 Previously Twain had hired and supervised the artists who illustrated his books, as well as dealing with details of production. 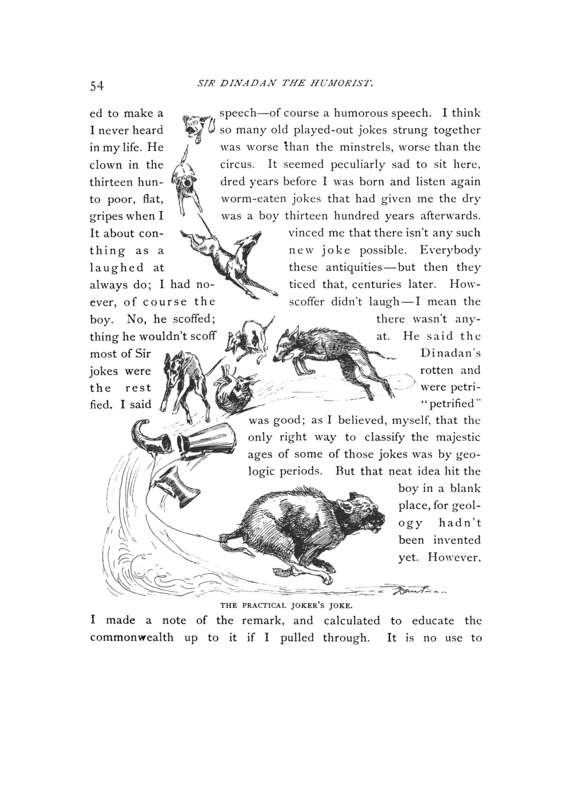 Anthony hired three illustrators, Frank T. Merrill, John Harley, and L. S. Ipsen. Twain paid them himself. One of the reasons we have stopped doing this is of course expense. But all that runaround caused problems for the compositors. Look at the lines in the middle of page 188 “Mind thy tongue thou”. Because “Mind thy” starts a paragraph the comp has been able to space the line by adjusting the para indent. The next line however has had to be spaced by extra word spacing and (typesetting anathema) letter spacing. In German Fraktur setting, letterspacing text is used to show emphasis, for which we now use italics. In English setting letterspacing should only be used in with caps or small caps, where one might add that that ought to mean “always”. But when left with such a narrow measure, and given the apparent rule that the text has to be justified both left and right, the comp really has no options. He can’t bring back “mad” nor can he hyphenate it. Given the rules he’s working with all he can do is hit the letterspacing bar. Page 297 presents a slightly different problem. 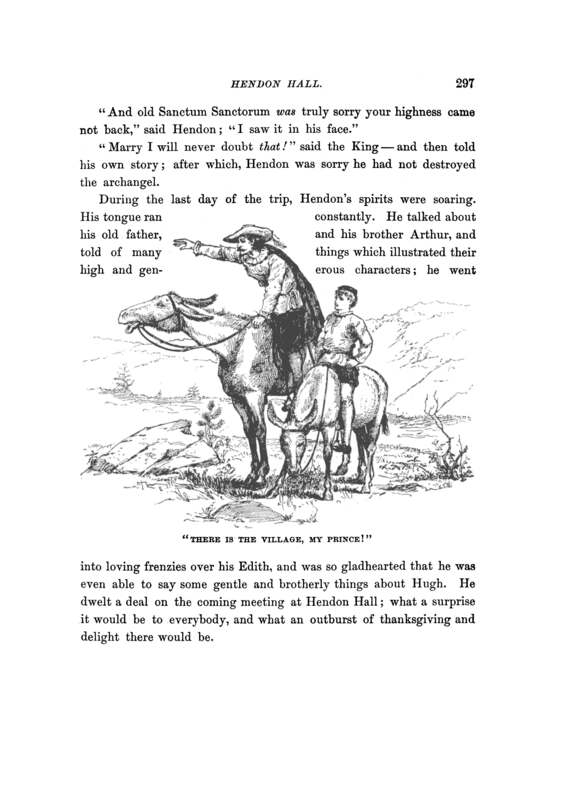 Faced with Hendon’s head and pointing arm the comp has to break the text into two columns which read across the illustration. It’s only four lines, so the reader can deal with it. That hyphen on the fourth line upsets me though. The rule forcing him to justify left and right is I think the root of the problem. By all means justify the left hand column at the left and the right hand one at the right, but allow them to be ragged at their inner margins. This would maintain the regular word spacing and help the reader stay with the text. The fourth line would be much more readable with this change. Page 255 is an extreme case: all those narrow-measure lines at the end of the knife are a mess. And there’s a gigantic river down the middle. Maybe it’s just because as a modern reader I am used to different conventions, but I think those loose lines are intolerable. It’s just wrong to make your readers put up with that amount of distortion. The aim of good typesetting is to have an even color across the page — no clumps of letters or splodges of white space. Clearly priorities were very different: of course nobody today expects their novels to be illustrated anyway, so it’s an entirely different group of publications we are talking about when we place art. How did we get to this messy place? Who would decide on what was to be illustrated and how it was to lay out on the page? Obviously Twain would be the one who would decide what subjects would be illustrated, but I suspect the layout would be up to the artist. You can imagine the compositor cussing the artist, saying “Look what he expects me to do now”. I think we can see this in action on page 240, where the comp has apparently thrown up his hands — “Idiot! You really think I can fit text into that narrow a measure”. Presumably after getting the direction from the author the artist would come up with sketches, then finished drawings which would be engraved and proofed so the comp would be able to measure what it was he would have to leave space for. Photo engraving was just being developed in the 1880s so presumably the art would be engraved by hand and the finished engraving mounted on wood blocks to make it type high, so that after setting the art could be proofed in position. To a modern sensibility it is amazing that having spent all that time and care on getting the art this far, the publisher (and the author) would close their eyes to such typesetting. Still autre temps, autres moeurs. I have to say that, typesetting apart, I really like the illustrations. 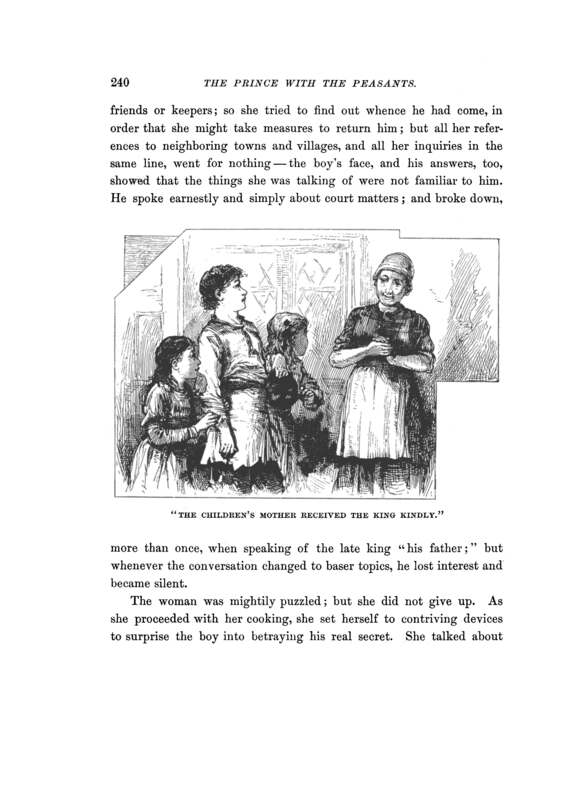 This page from A Connecticut Yankee in King Arthur’s Court (1889) is just wonderful. A bit hard to read in the middle, but it almost doesn’t matter.